"Heartily recommended for those who enjoy mystery, thrillers, suspense, and spiritual or religious themes." 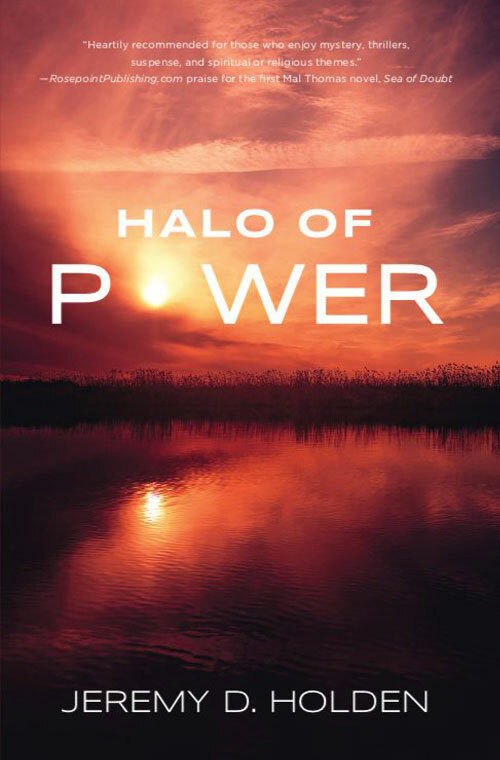 In Halo of Power, a sequel that also works as a standalone novel, Mal teams up with the enigmatic billionaire Huw Hudson once again. This time in a life-or-death battle against a shadowy organization that seeks to control untold wealth and power — and destroy the world’s great democracies and religions. 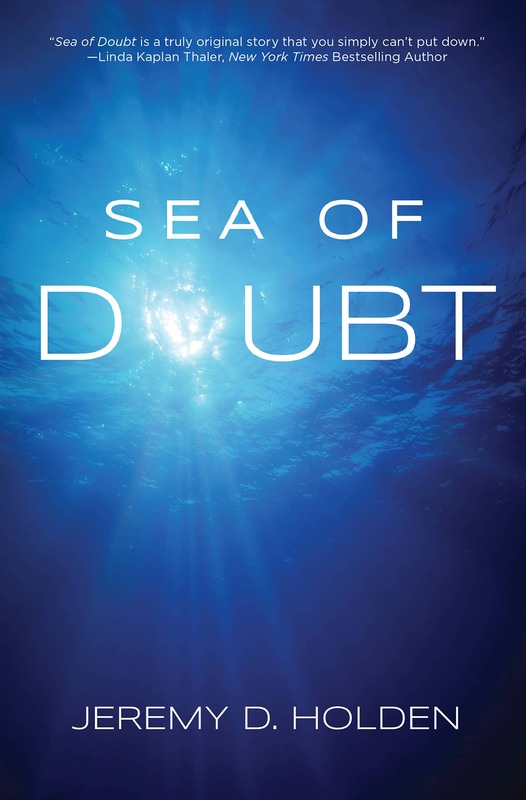 In this sequel to Sea of Doubt, Mal Thomas is approached by another enigmatic billionaire with an equally incredible proposition, one that ultimately challenges the very core of our beliefs about space and time. 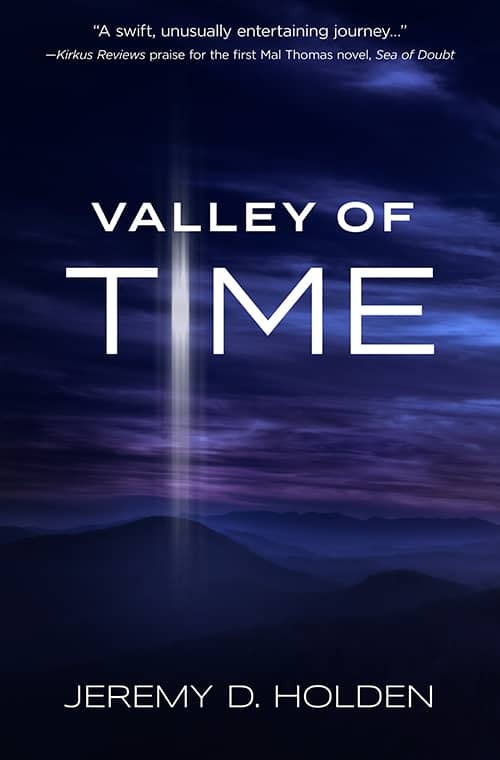 Valley of Time poses a crucial question to the reader: What if you could go back to the pivotal moment in time that shaped your life? Would you try to alter your fate? In this "swift, unusually entertaining journey...," the story underscores our endless obsession with fame and pop culture. As Mal and his team launch one of the largest advertising campaigns the world has ever seen, a global media feeding frenzy ensues, leading to tragic consequences. The unexpected ending will leave you wondering how you didn’t see it coming. 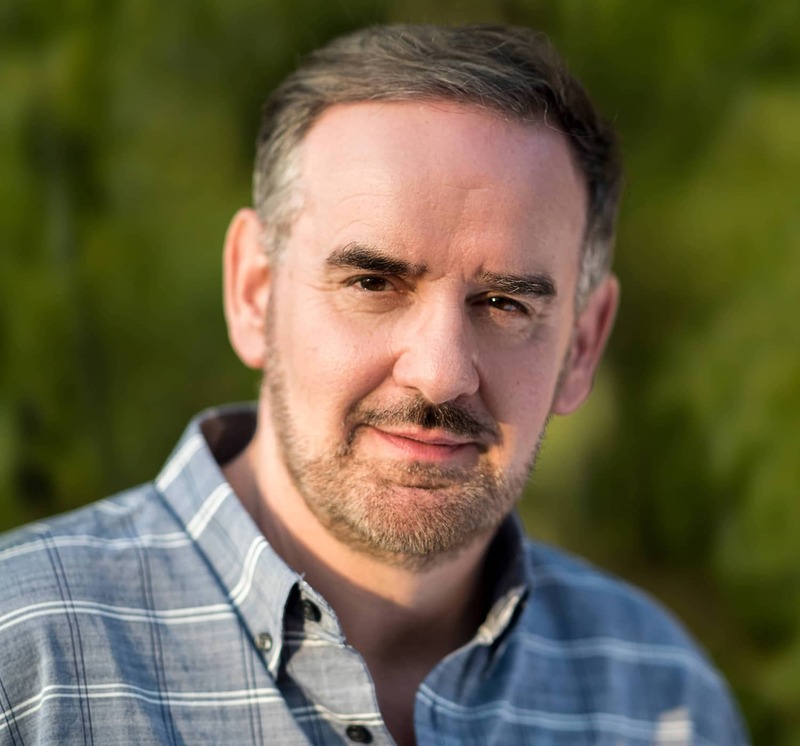 Jeremy Holden is an award-winning creative professional and accomplished writer and thinker with ties to both sides of the Atlantic. 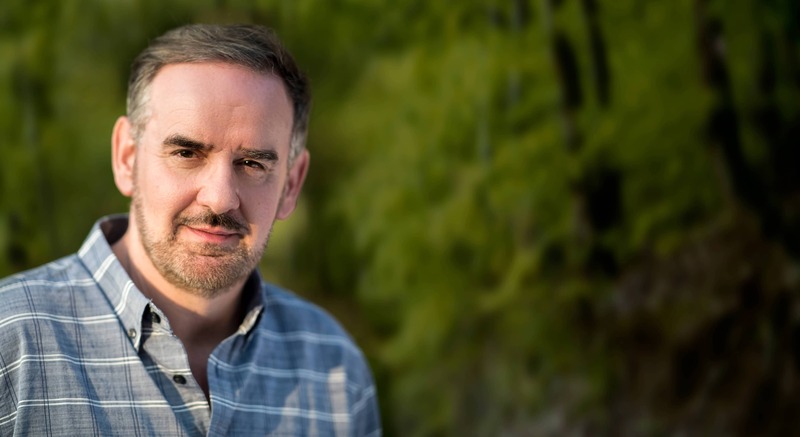 He received dual degrees in communications and law from the University of the West of England, giving him a distinctive right- and left-brain approach to business and life—and to his writing. Jeremy relocated in 1995 to the United States, where he met his future wife and became a citizen. He has worked for some of the best-known advertising agencies in the world, including Publicis Worldwide, where he ran strategy for North America from its New York offices. During his career, he has won most of the industry’s top awards, including the prestigious “Gold Effie,” the advertising industry’s Golden Globe. Jeremy has counseled some of the world’s most recognized names and helped them tell their stories, including Citigroup, Procter & Gamble, Audi of America, Nasdaq, and many others. 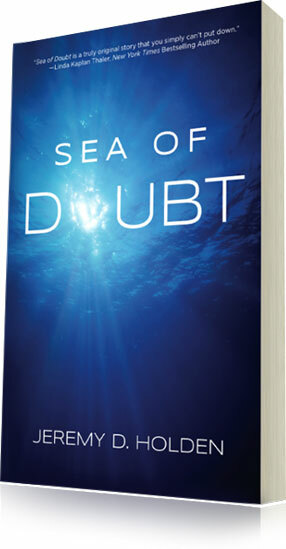 His experiences are integrated into, and integral to, his Mal Thomas Mystery novels, Sea of Doubt (2016), Valley of Time (2017), and Halo of Power (2019). 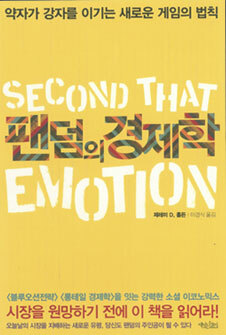 His first nonfiction book, Second That Emotion: How Decisions, Trends, and Movements Are Shaped (Prometheus Books, 2012), explores how movements are created in the political, cultural, and commercial realms. As a result, he received coverage in Fast Company and Huff Post and appeared on CNN and NPR. Jeremy lives and works in Raleigh, North Carolina, where he and his wife, Natalie, lead Clean, an integrated branding agency. He also teaches at the University of North Carolina at Chapel Hill in the School of Media and Journalism. A popular speaker and facilitator, Jeremy has run client workshops in tandem with fellow authors Malcolm Gladwell and Professor Dan Ariely. He also has two overachieving children, Lily and Sam, and two extremely spoiled dogs, Stella and Wally. 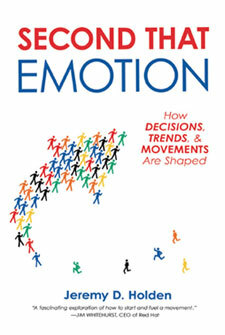 Jeremy’s first nonfiction book, Second That Emotion: How Decisions, Trends, & Movements Are Shaped (Prometheus Books, 2012), explores how movements are created in the political, cultural, and commercial realms. The book received wide-ranging media coverage including Fast Company, The Huffington Post, CNN, and NPR and is available on Amazon.com. In this fast-moving and often sardonic novel, the story underscores our endless obsession with fame and pop culture. As Mal and his team launch one of the largest advertising campaigns the world has ever seen, a global media feeding frenzy ensues, leading to tragic consequences. The unexpected ending will leave you wondering how you didn’t see it coming.